LONDON - Volkswagen Commercial Vehicles is launching an integrated advertising campaign to underline the car company's position as a leading manufacturer of commercial vehicles. 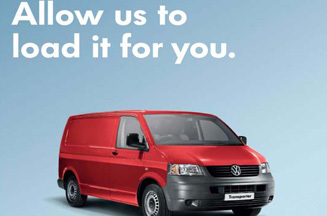 Breaking this week, the campaign highlights the long-term business benefits of Volkswagen vans. The ads carry the tagline ‘Very Commercial Vehicles' to illustrate how Volkswagen vans are a good investment in the current economic climate. It replaces the previous tagline of ‘Let's go to Work'. The push, created by iris, spans TV, radio, digital, experiential, retail, press, and PR elements. The radio ads are voiced by Ray Winstone.